OnAccess7724D is a dual fiber version “triple play” Optical Line Terminal (OLT). It is a 24+ 4G high-performance managed Layer 2 “triple play” Optical Ethernet switch with CATV optical signal splitting function. OnAccess7724D provides an ideal low cost solution to deliver "triple play" services (data, voice and CATV) over dual single-mode fiber for fiber-to-the-home (FTTH) or fiber-to-the-building (FTTB) applications. 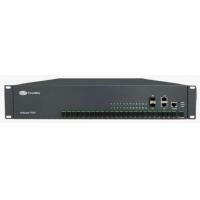 OnAccess7724D offers up to 24 100Base-BX10-D ports and 24 CATV optical signal output ports to be connected to FirstMile’s OnAccess4xxD or OnAccess7702D series optical network unit (ONU) at the user's premise. It also offers two optional SFP based 1000Base-X fiber optic ports and two 10/100/1000Base-TX RJ45 copper ports for fast connection to the core data network, as well as one CATV optical signal input port. 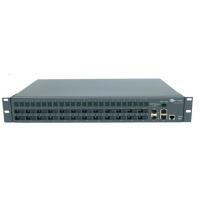 Dimensions: 19-inch rack-mount width, 1.5U height.